A podcast on Ancient Rome and its influence on modern culture. This is Season Three, Episode 15. This placeholder gives you sneak peeks into three upcoming episodes that will be posted on line of new shows that are to come. Natalie Haynes, will speak on Greek Tragedy. Vicky Alvear Schector on her book Cleopatra's Moon. And Arthur Phillips on his book, The Egyptologist, a truly mysterious protagonist that looks into the ancient world of the Egyptians. STAY WITH US! 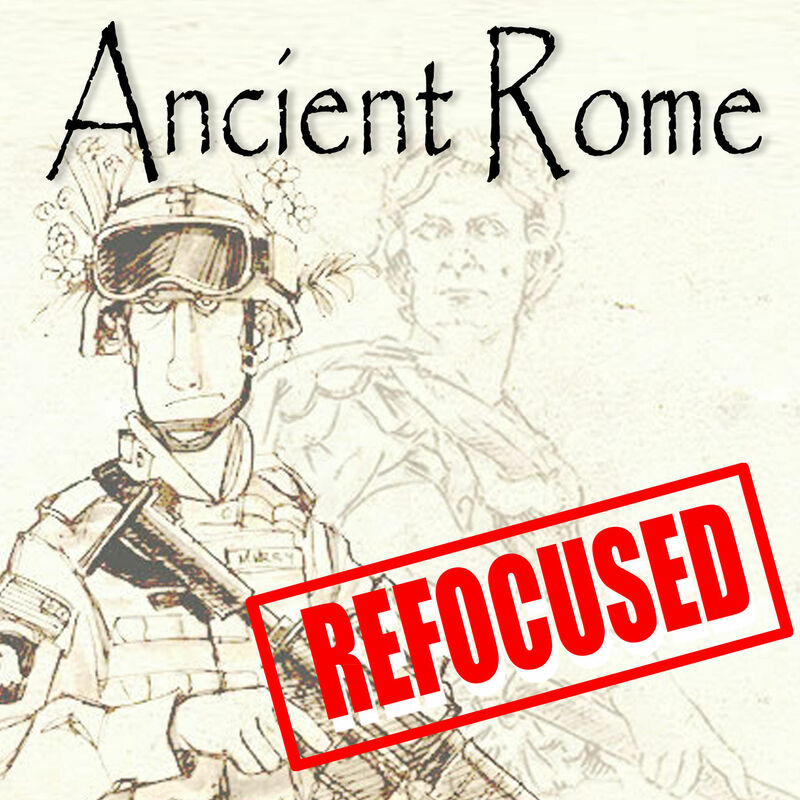 ANCIENT ROME REFOCUSED IS BACK IN PRODUCTION. "My Marine Expeditionary Unit can beat your Roman Legio." "Who is James A. Bretney?" "Nothing New Under the Sun. Get Over it." "A Caesar By Any Other Name is Still a Caesar." "Ancient Troy, Graphic Novels and Brad Pitt?"